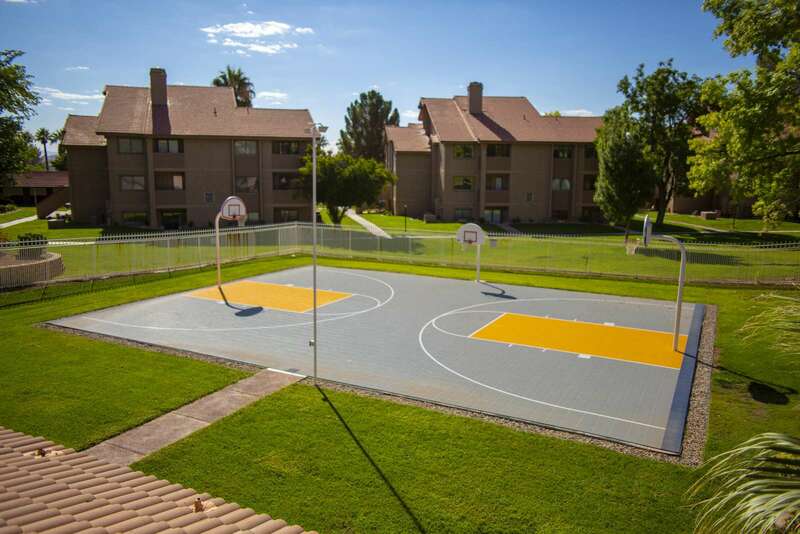 Enjoy this comfortable condo at Sports Village that sleeps up to 9 in beds with the option of 2 more (floor mats). 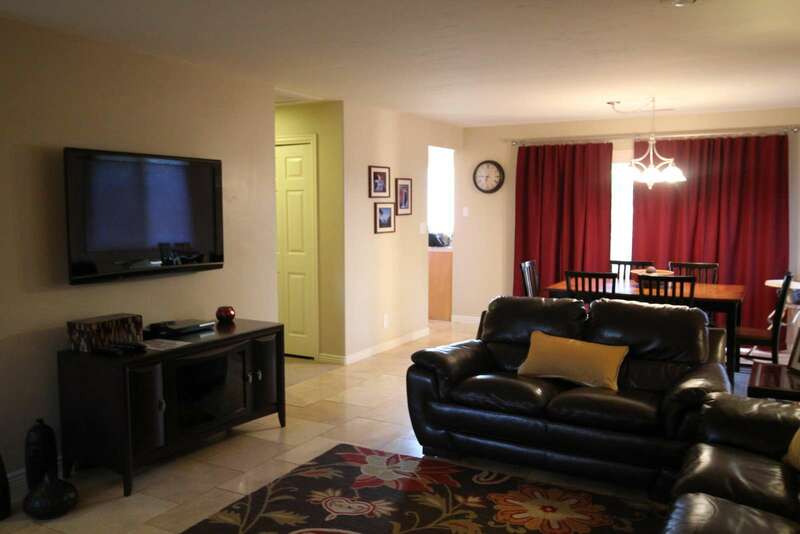 This 2 bed/2 bath in Building Q (2nd floor, end unit) is extremely comfortable and affordable for the entire family! 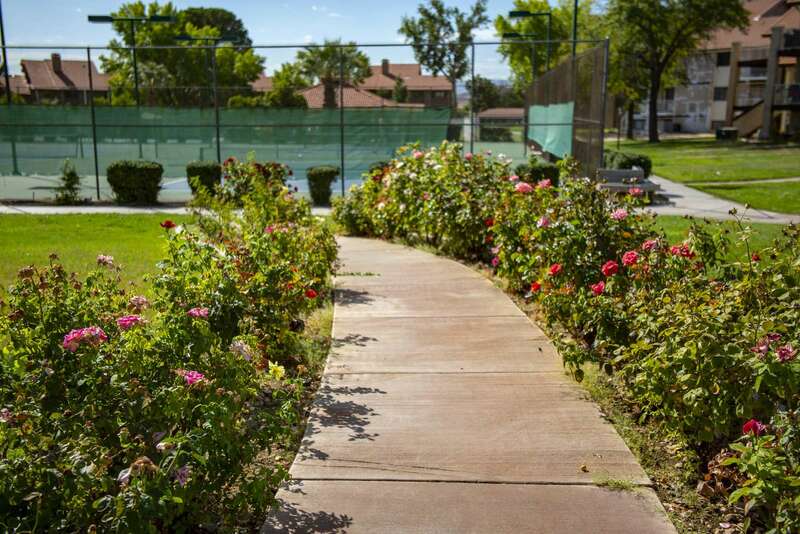 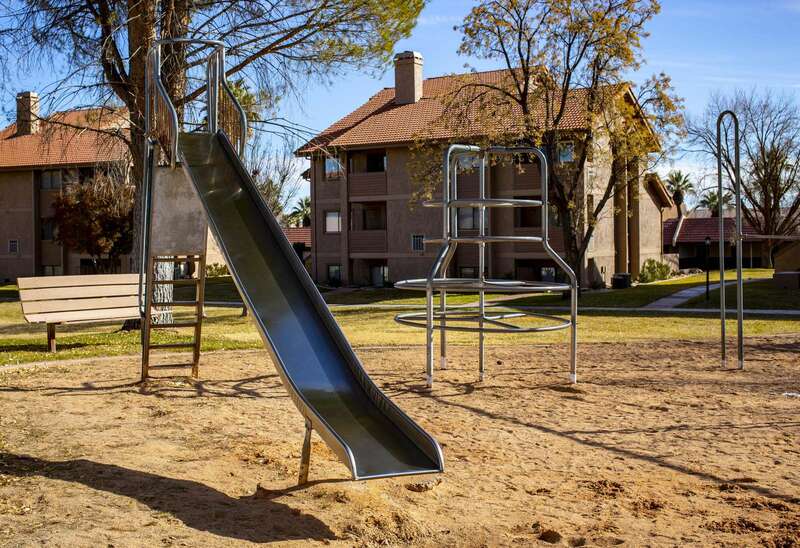 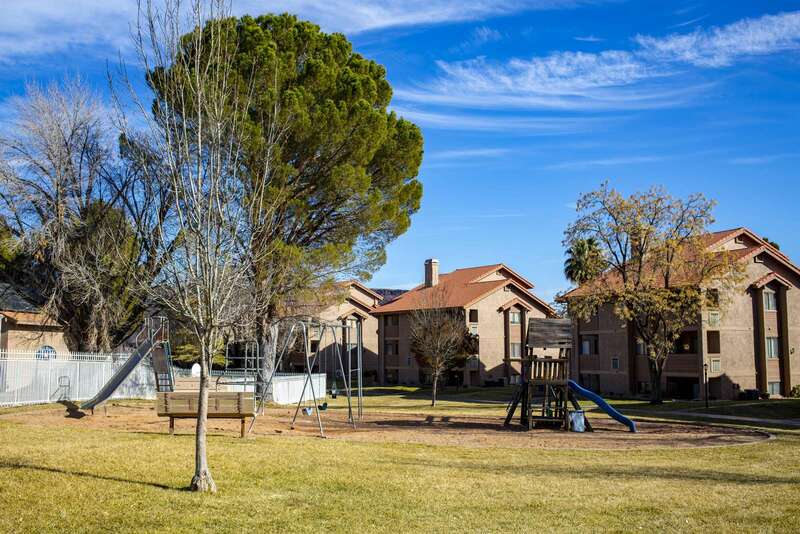 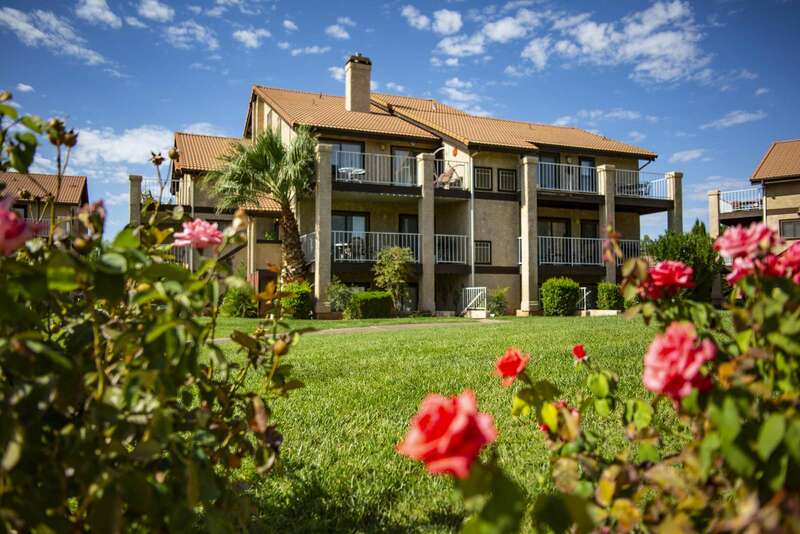 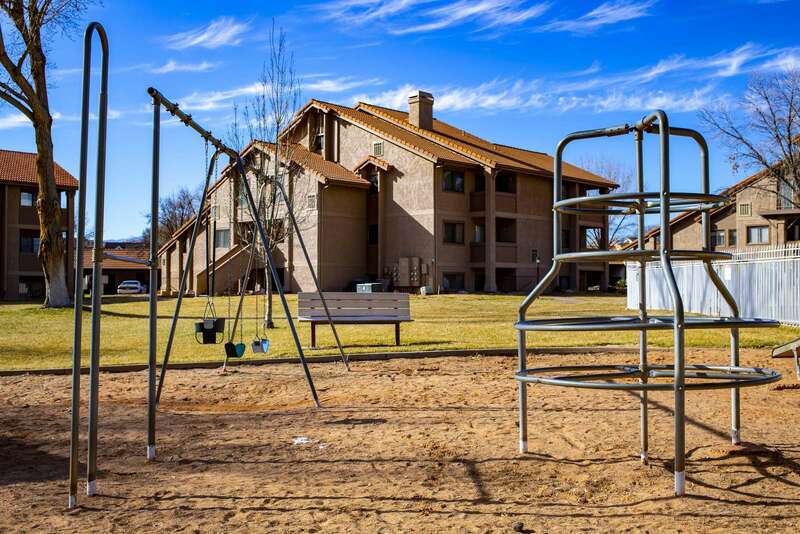 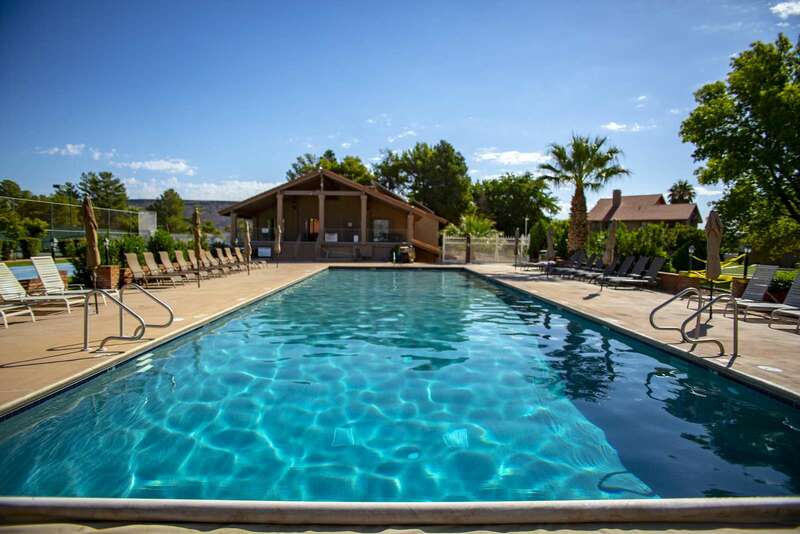 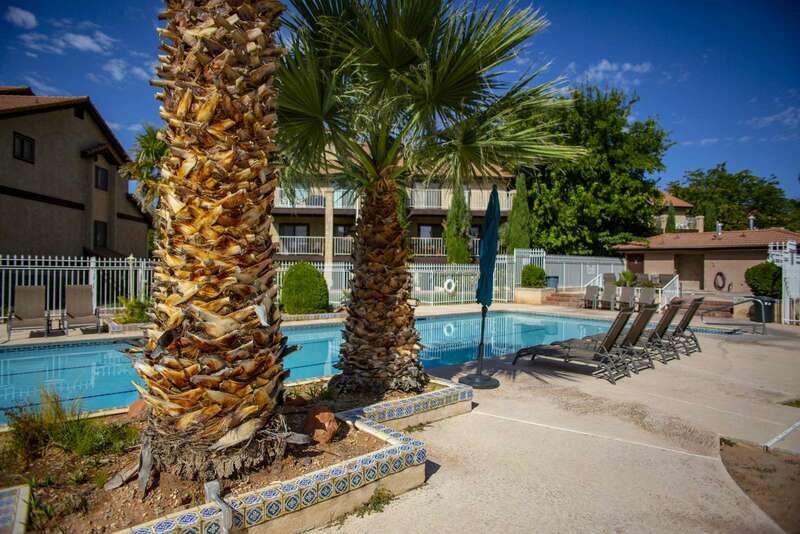 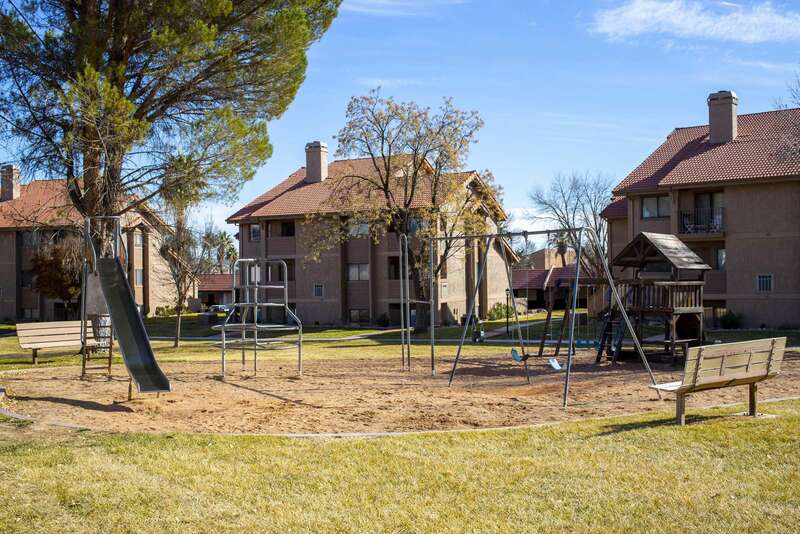 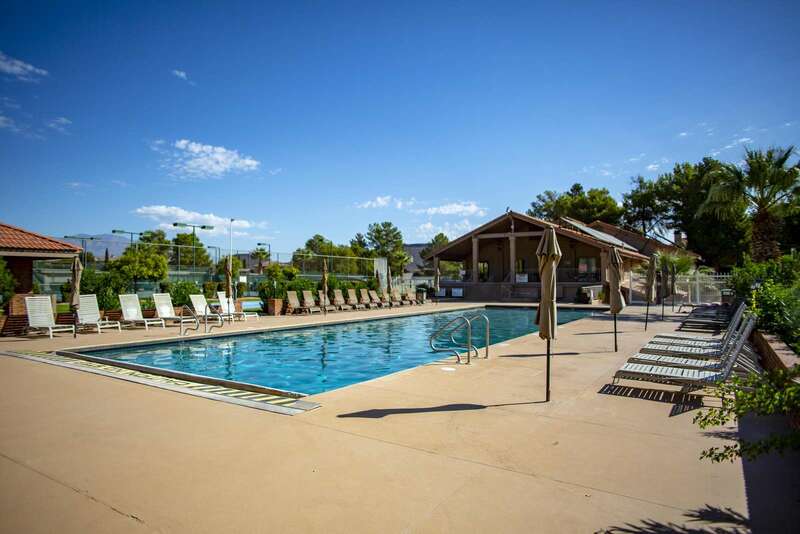 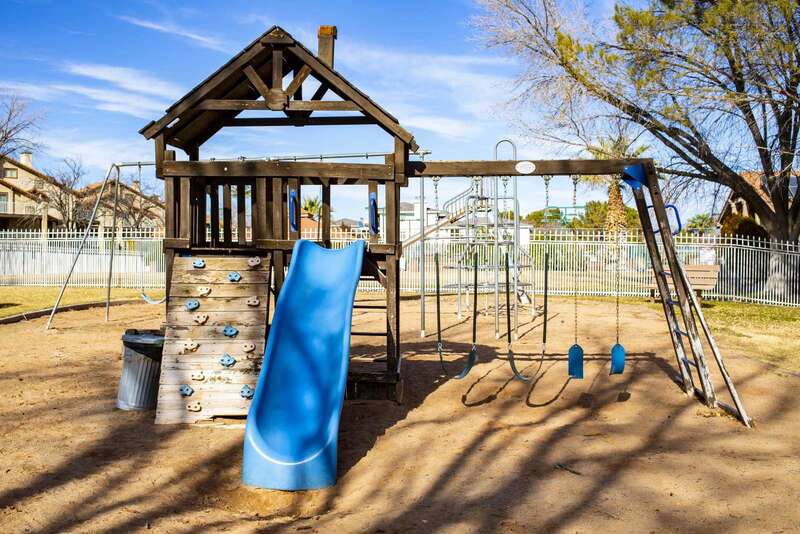 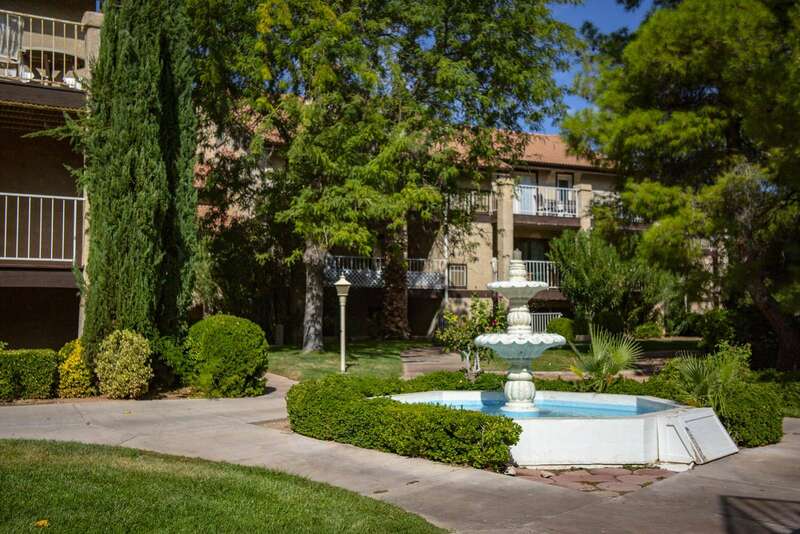 Looking for a retreat to St. George, Utah? 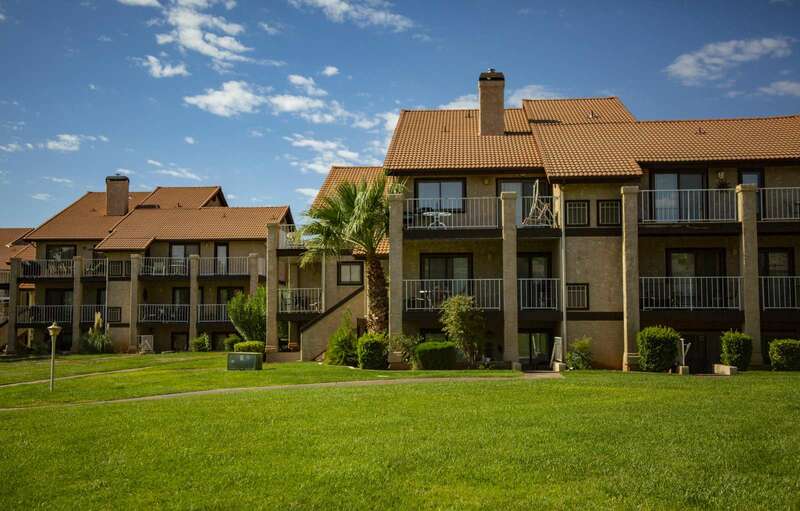 Whether you're golfing, biking, hiking, shopping or just relaxing, you will enjoy staying in this amazing Green Valley condominium. 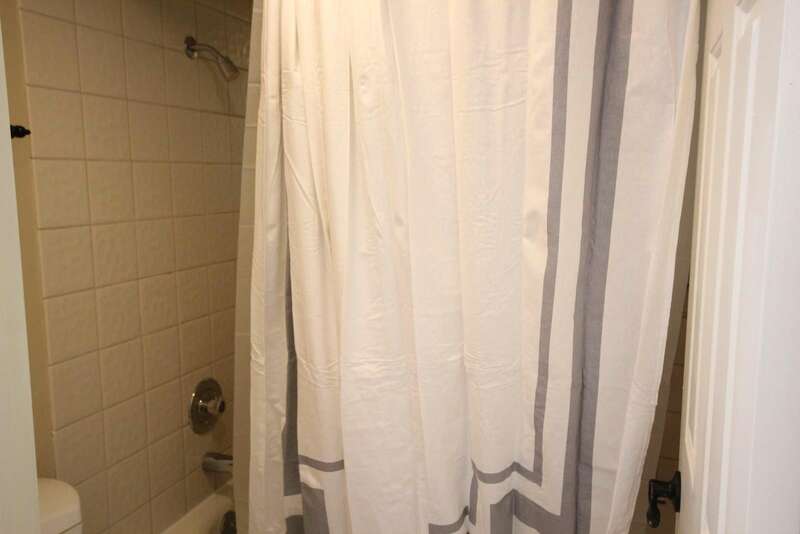 Your group will enjoy this cozy 1,200 square foot condo (located in Building Q) with comfortable furniture, clean appliances, beautiful decor and furnishings. 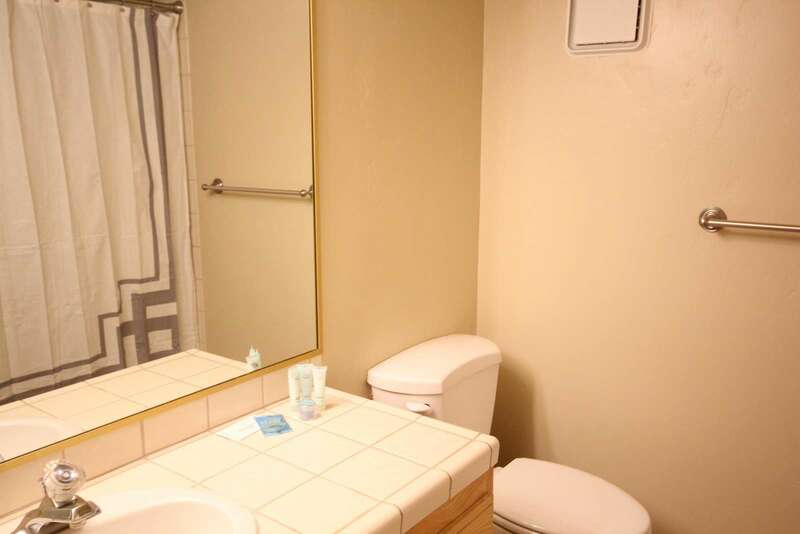 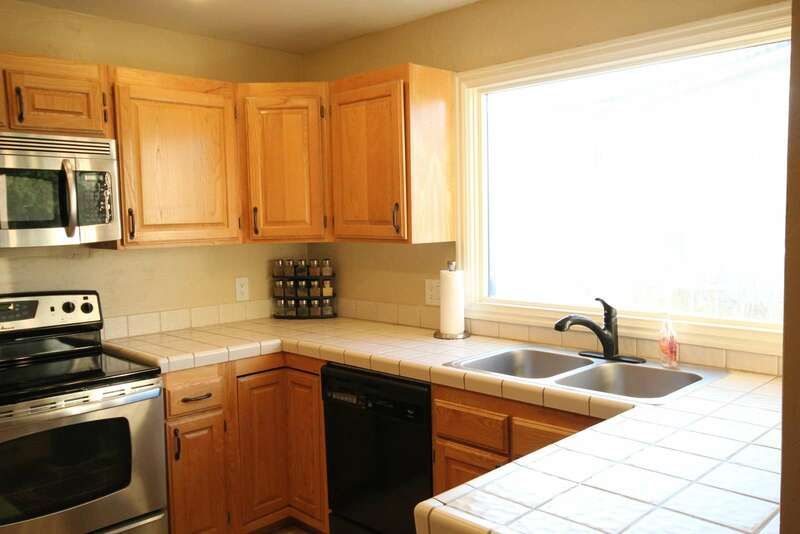 It features two large bedrooms and two baths. 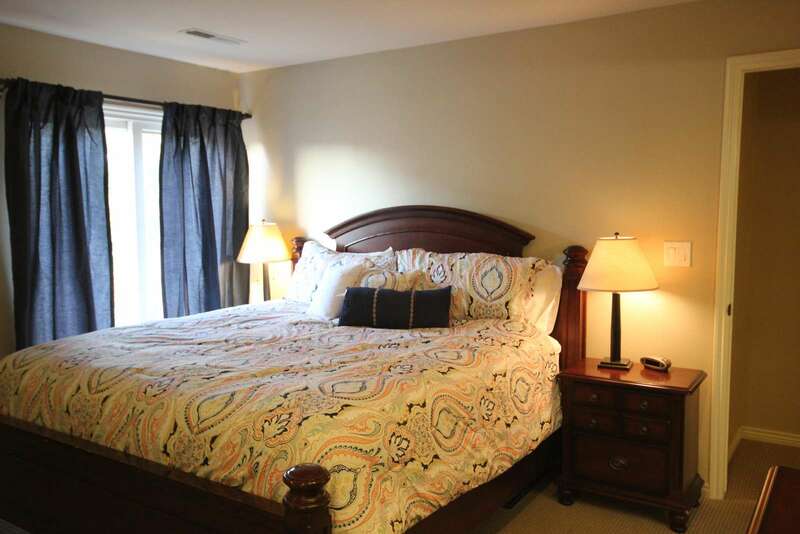 The Master Suite has a high-end king bedroom set complete with flat screen TV and a large bathroom. 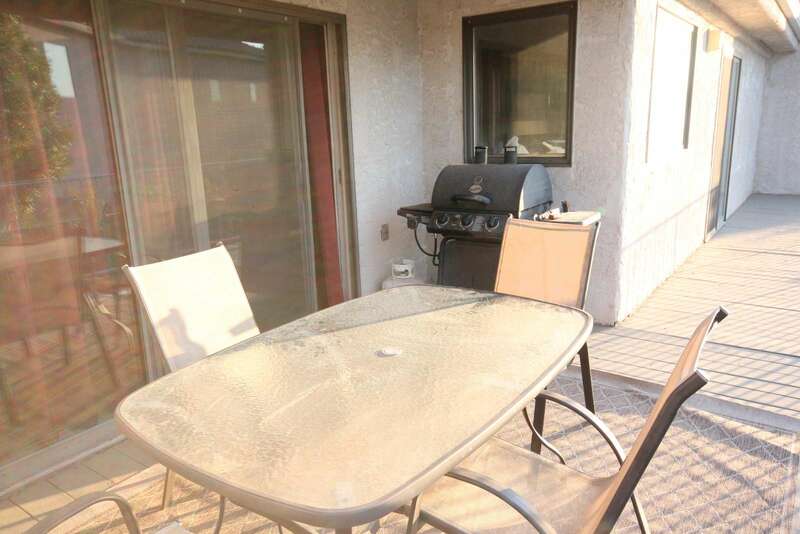 There is also a private entry to the patio from the Master Suite that allows a "getaway" at any time. 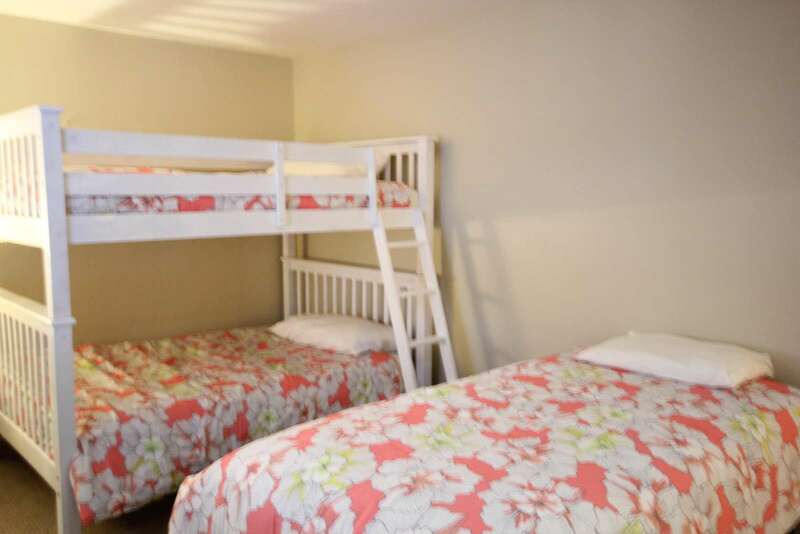 The second bedroom has a double/double bunk bed as well with a twin bed. 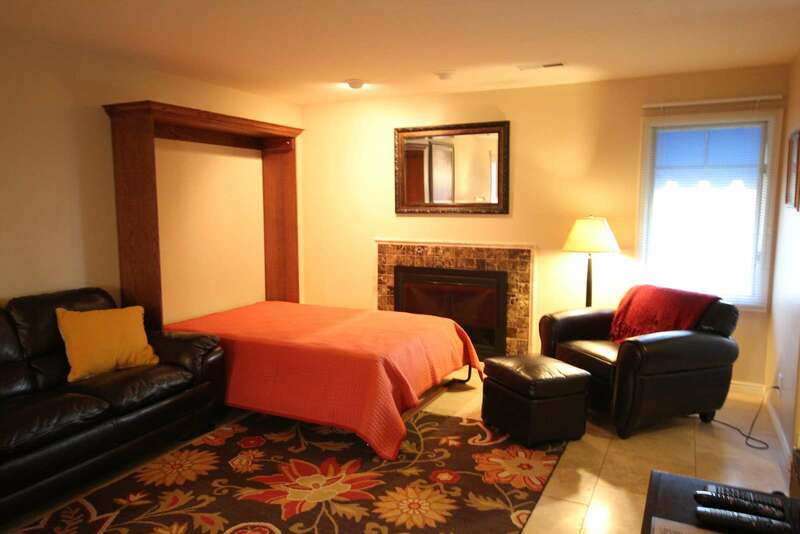 There is also a queen size murphy bed/wall bed in the living room. 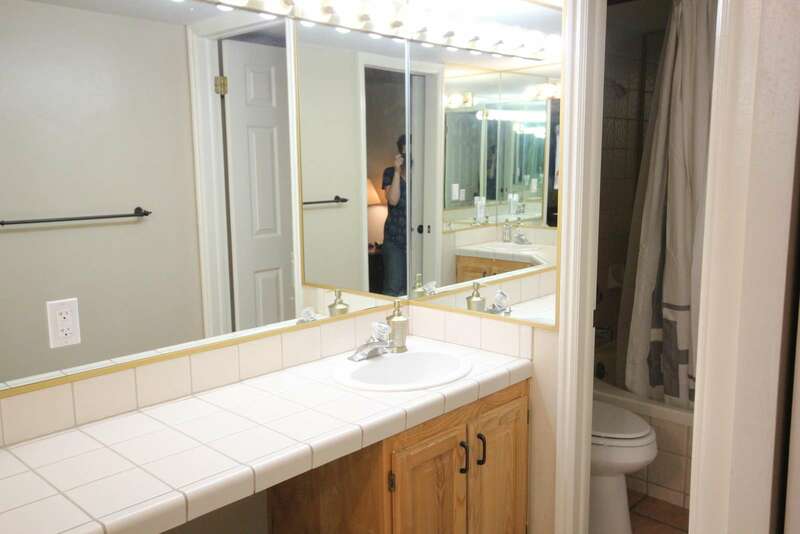 This unit will comfortably sleep 9 in beds. 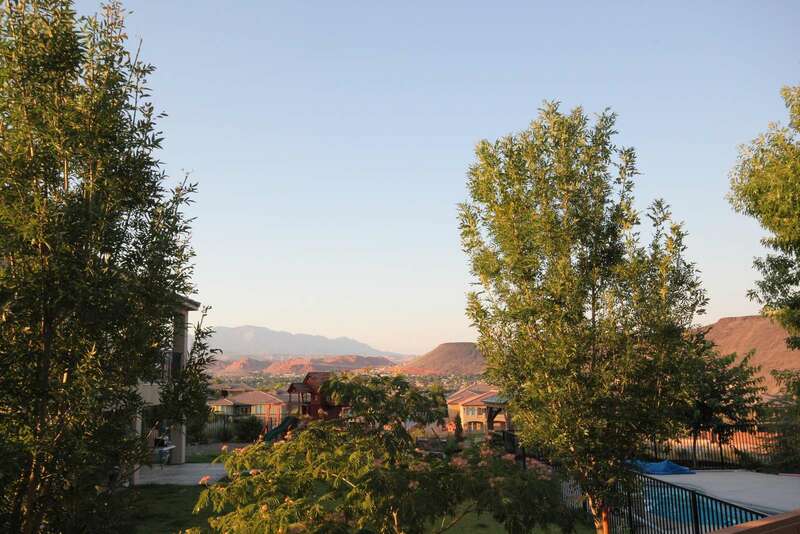 This condo has a fully operational kitchen with nice appliances, microwave, dishwasher, refrigerator , and at galnce it features fabulous views of the valley through oversized windows. 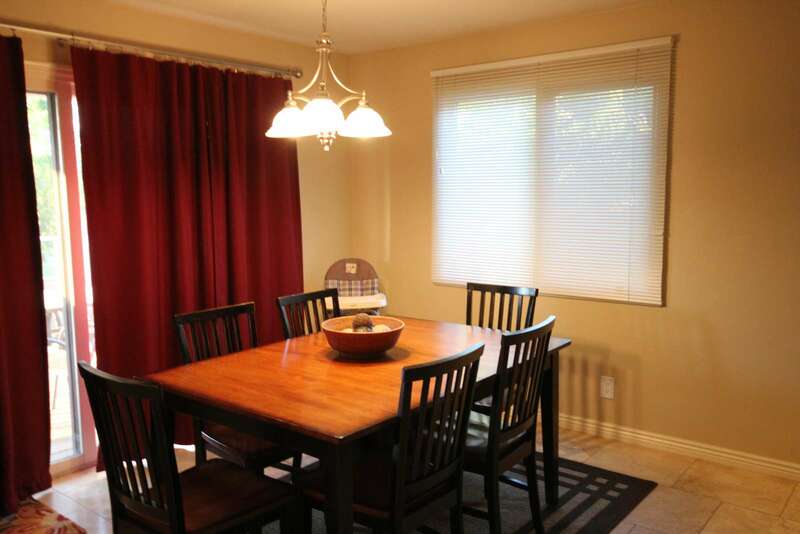 An open floor plan with a dining area and family room with modern leather furniture makes a great environment for everyone. 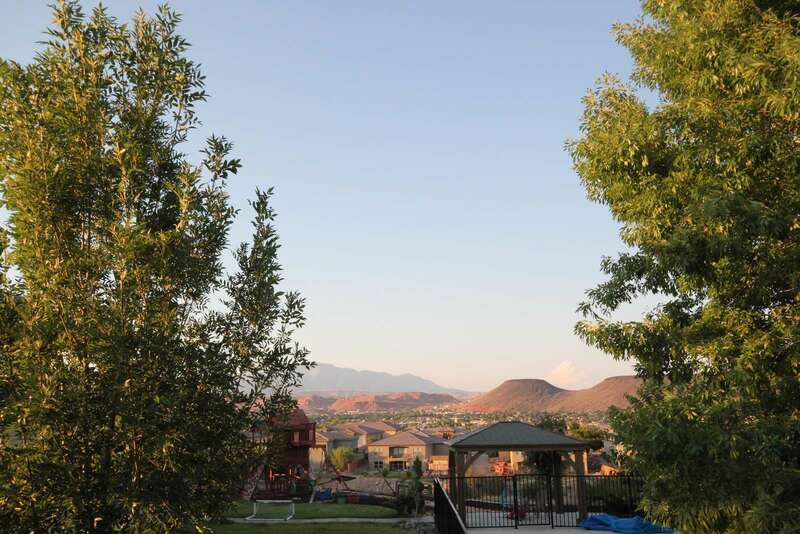 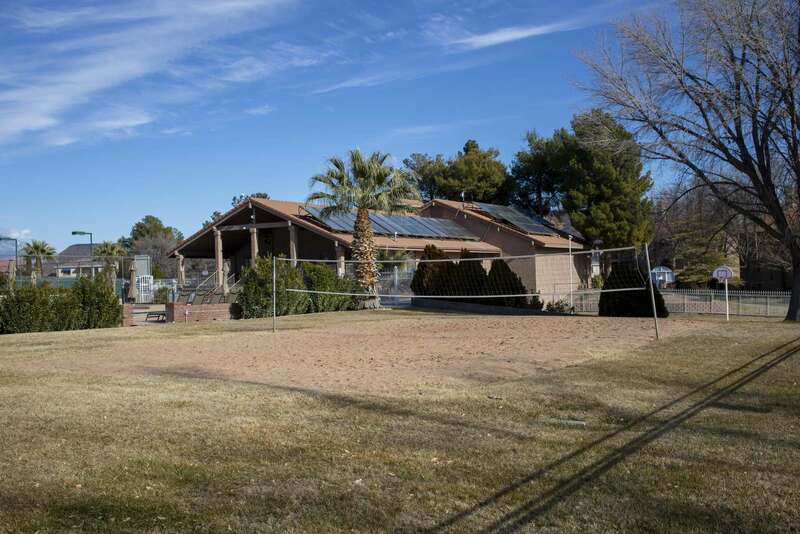 A large patio with a barbecue grill and table and chairs offers "some" views of the red mountains. 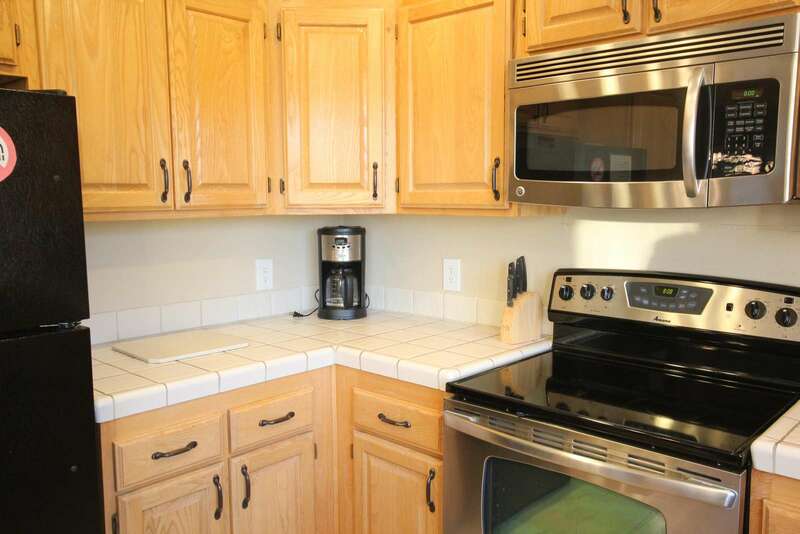 The condo also provides full-size washer and dryer. 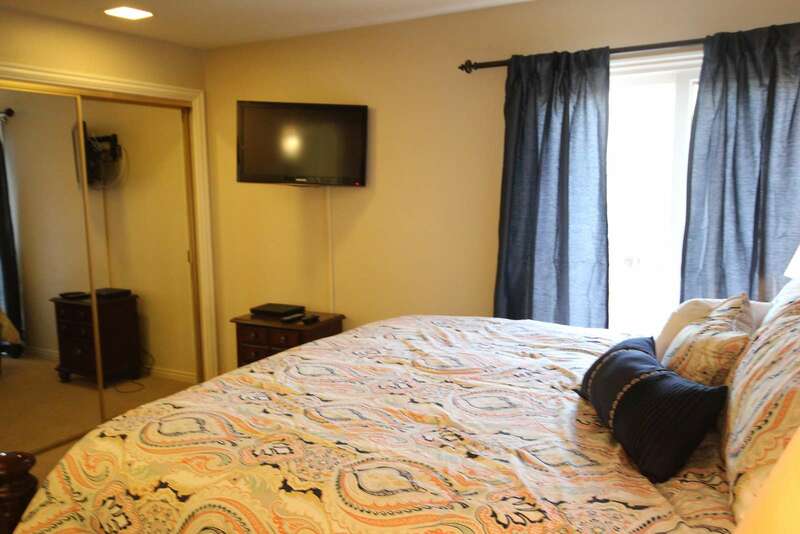 A 50" plasma flat screen TV with Blu-Ray/DVD and cable makes relaxing any time comfortable. 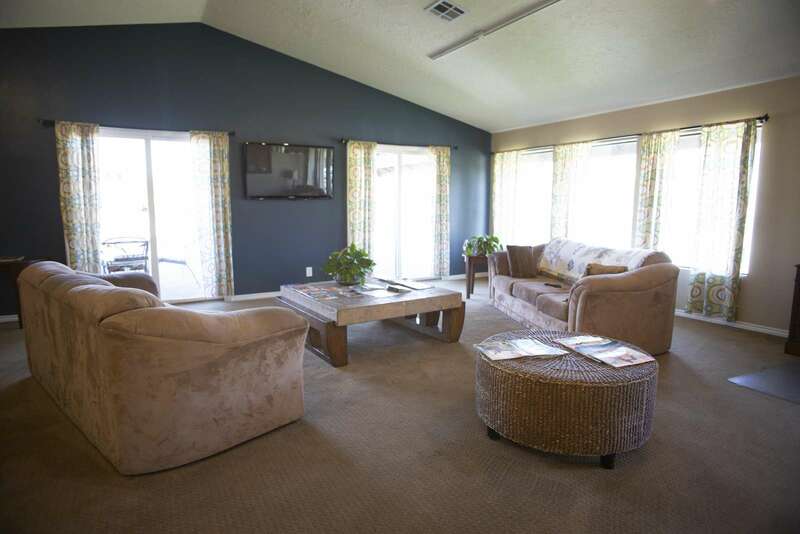 Bring along your favorite movies to relax with your group after a full day of adventures. 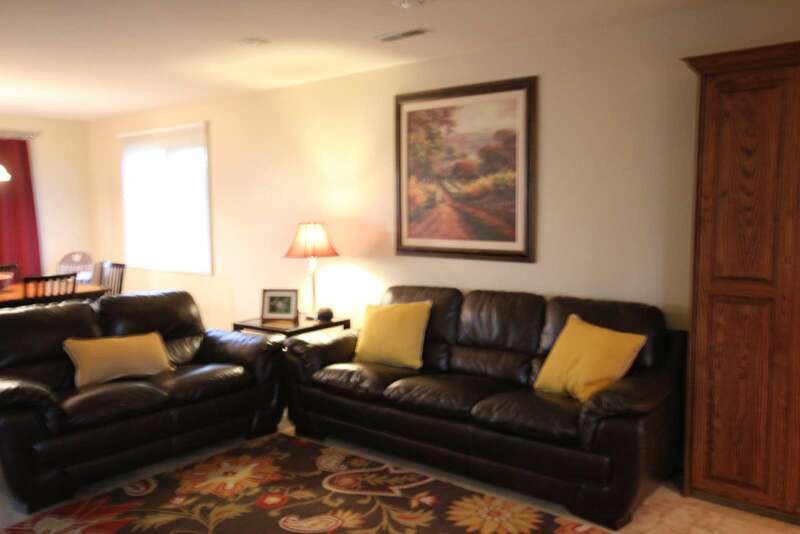 Netflix customers are welcome to view a large selection of movies from the screen using their personal account that offers something for everyone! 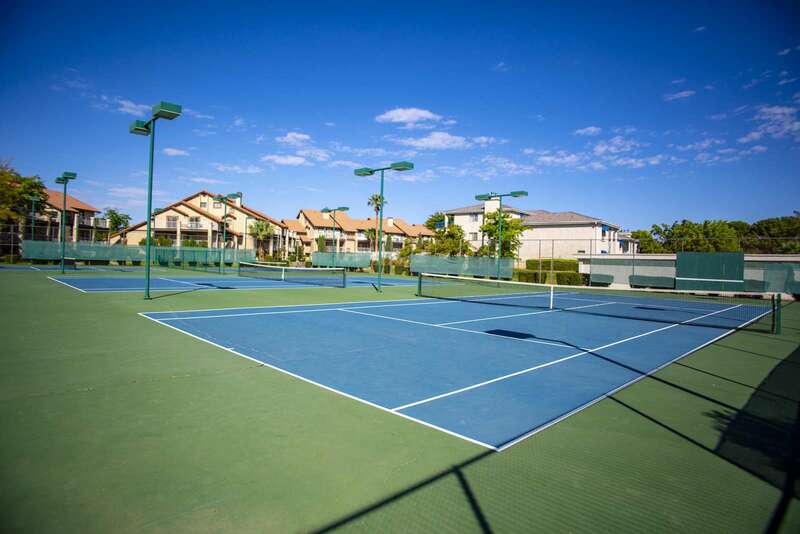 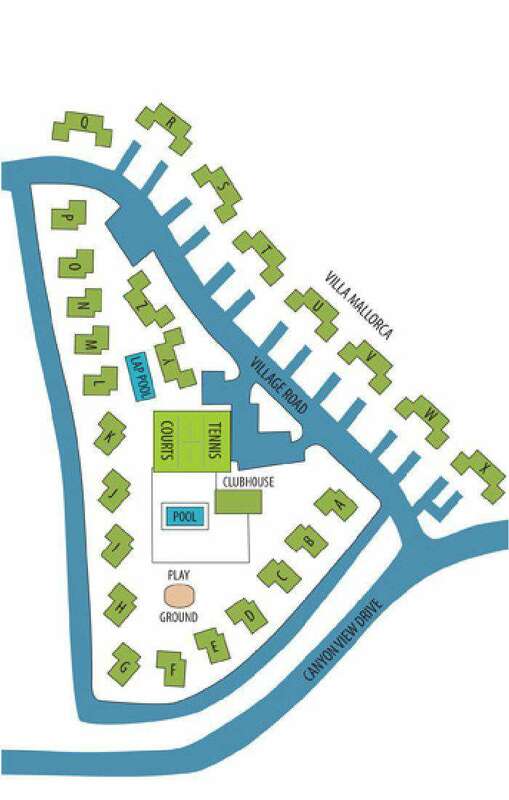 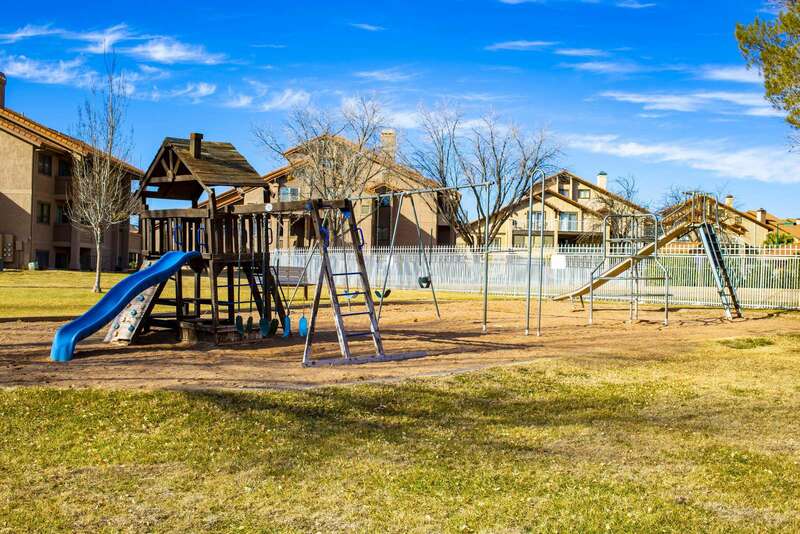 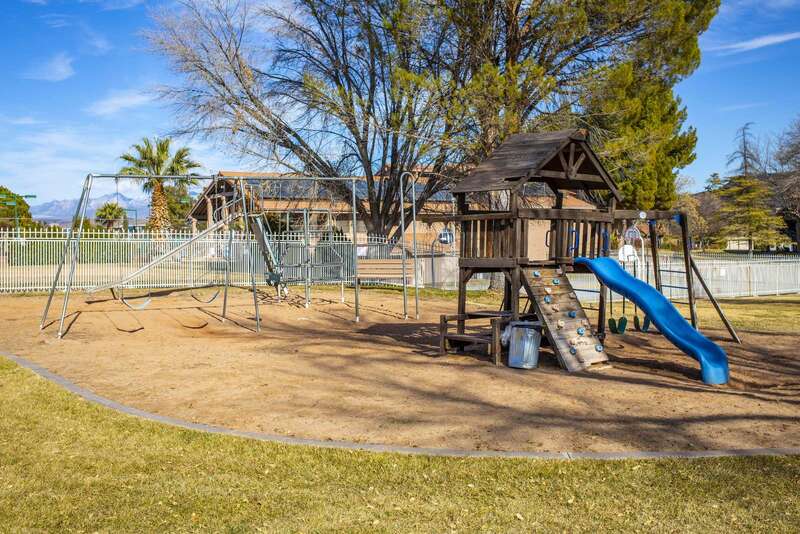 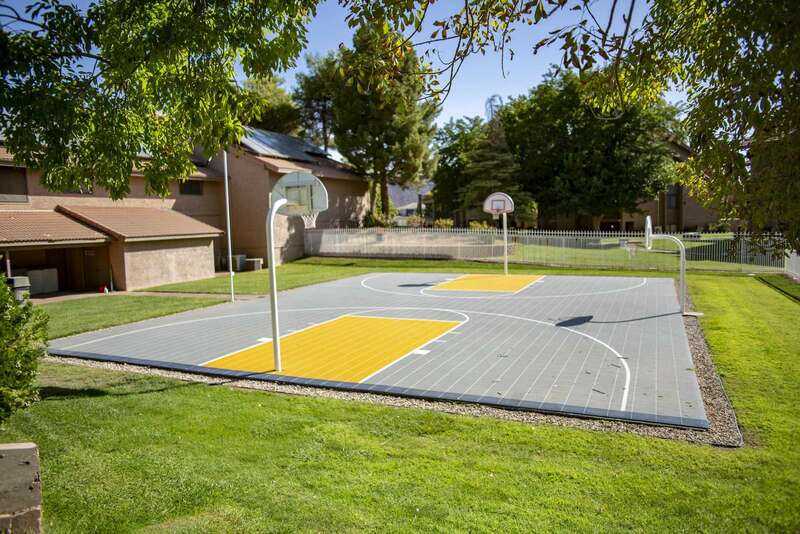 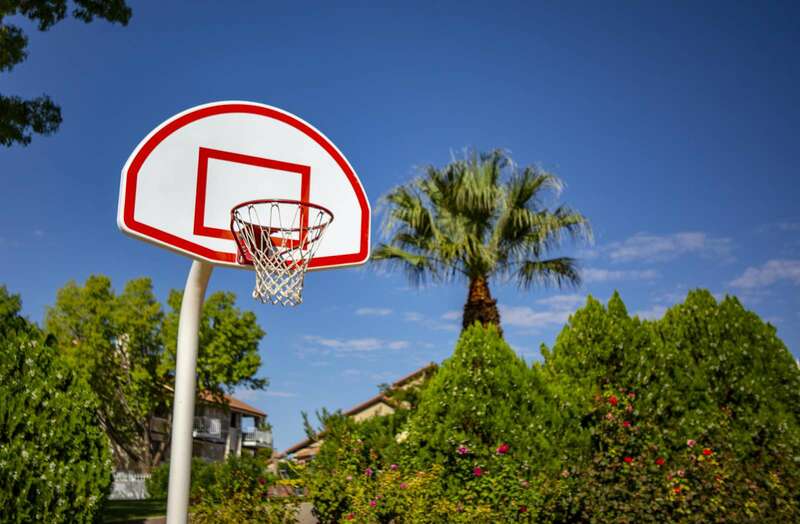 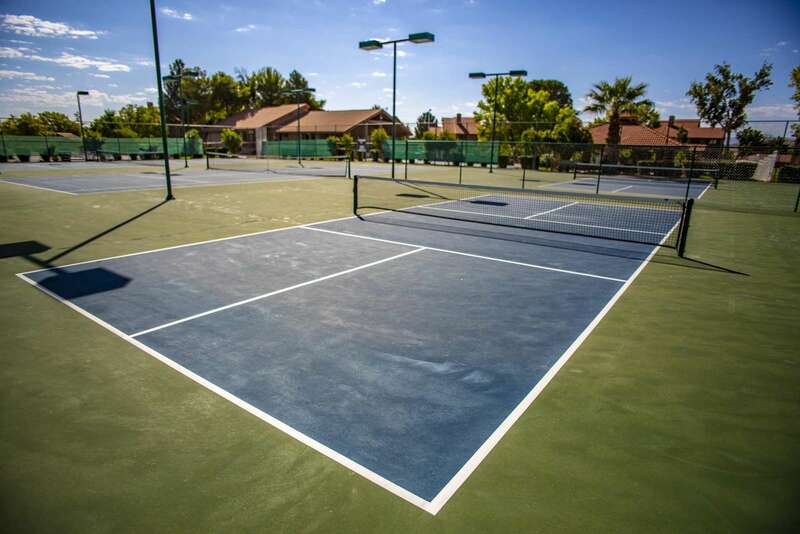 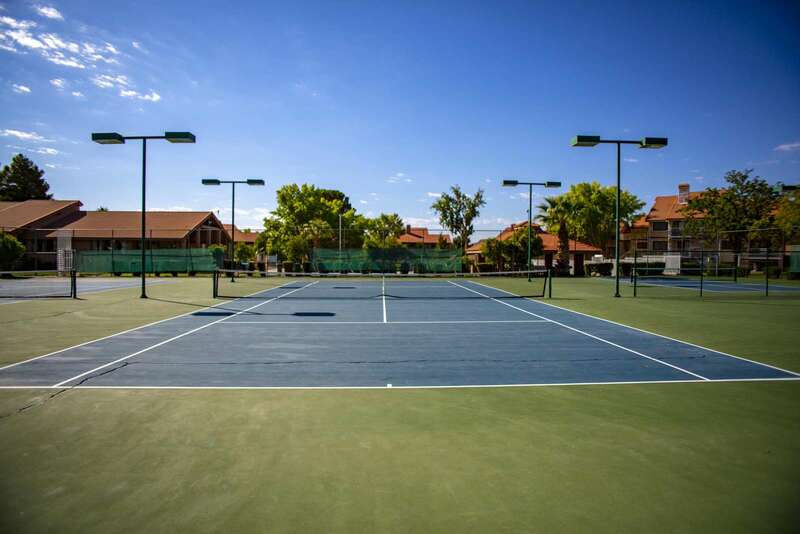 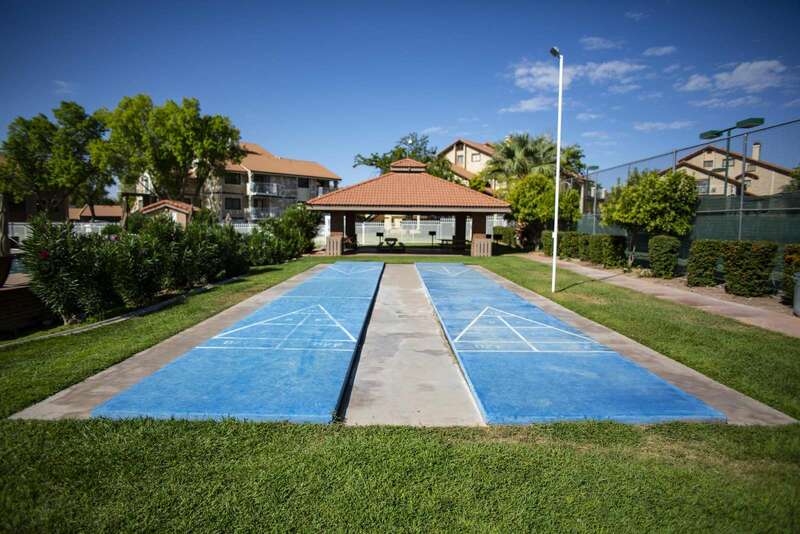 Sports Village is a wonderful family resort offering numerous amenities for everyone in all ages. 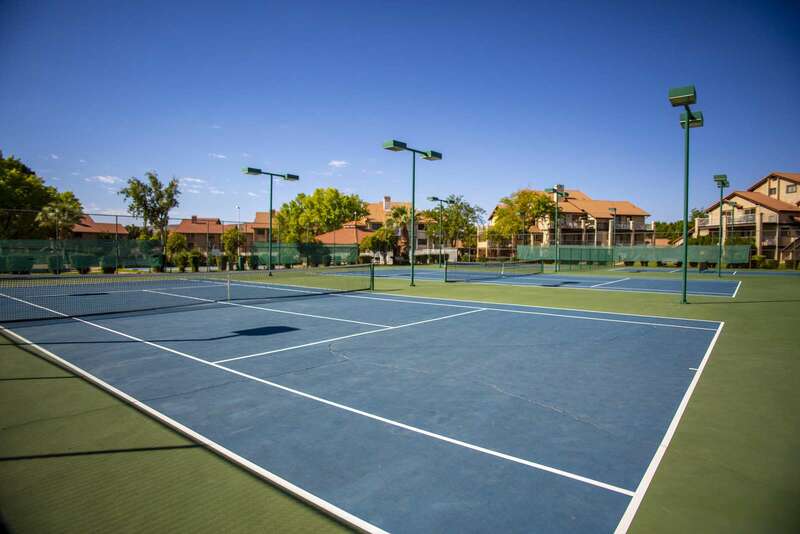 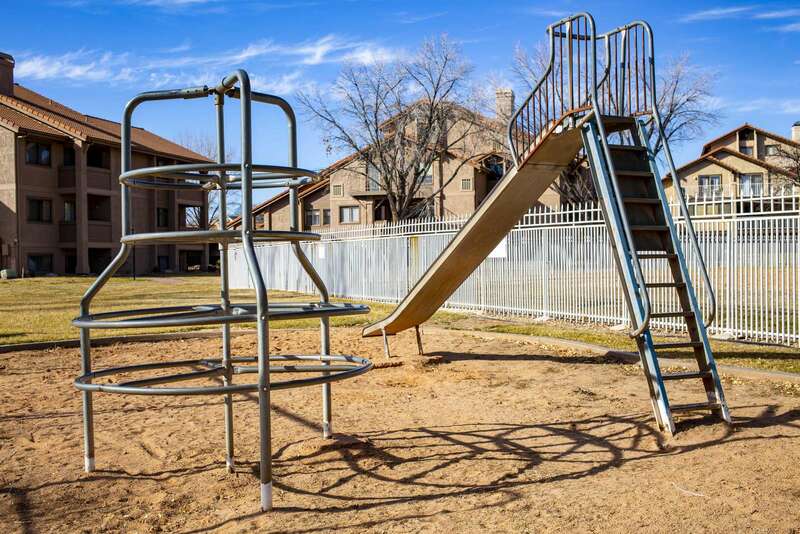 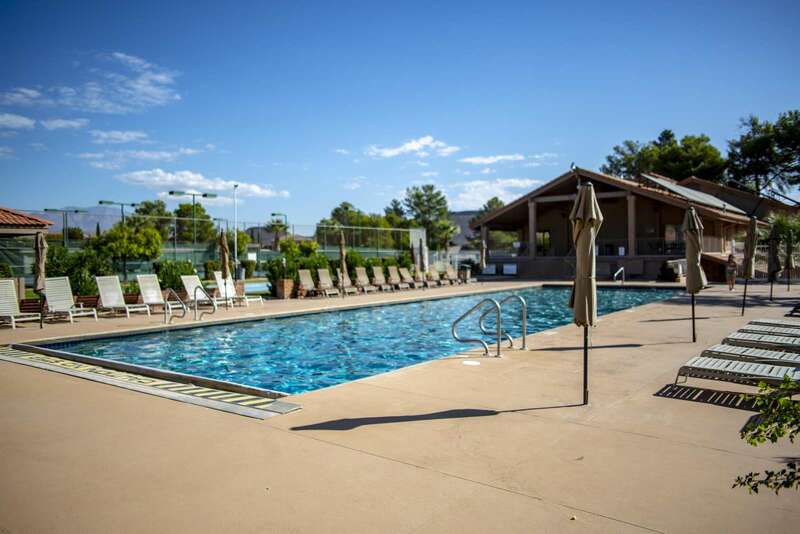 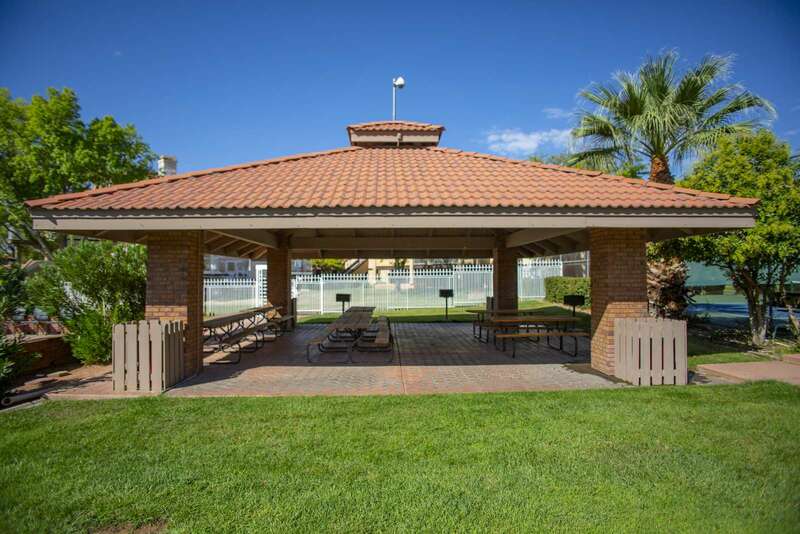 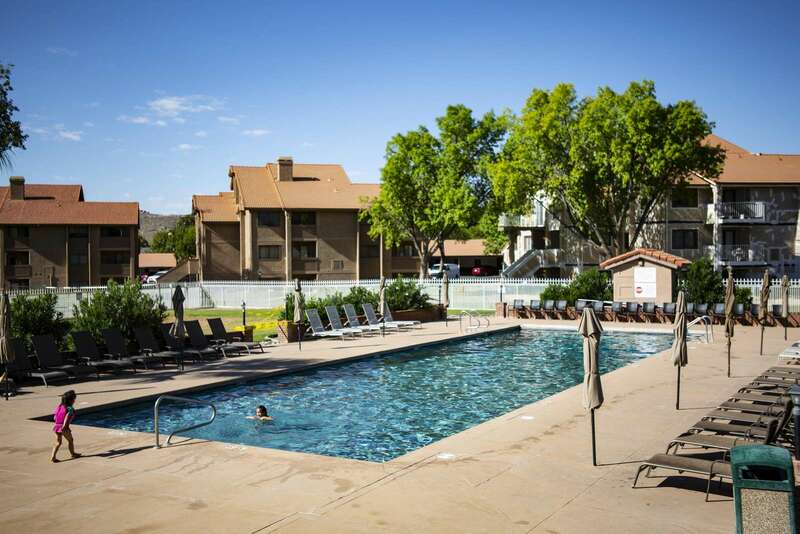 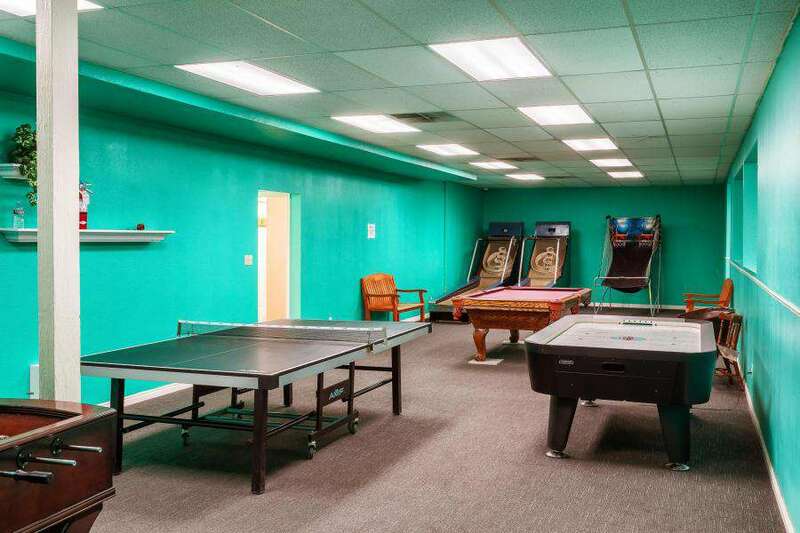 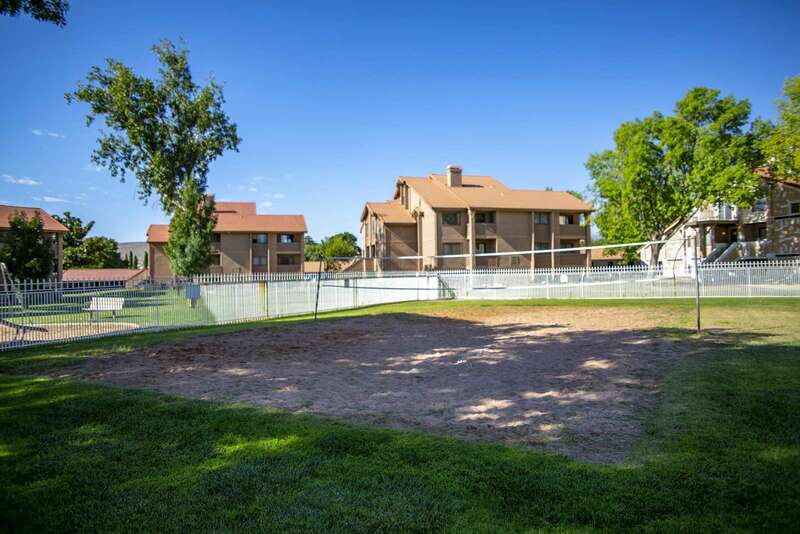 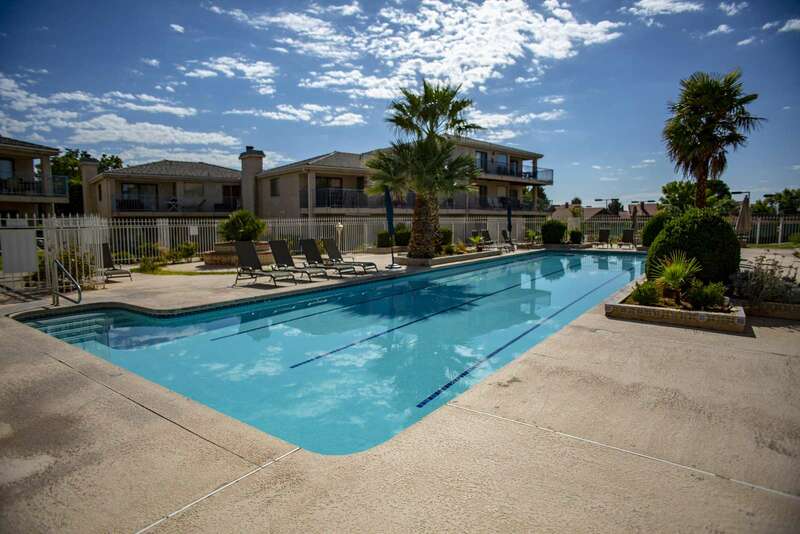 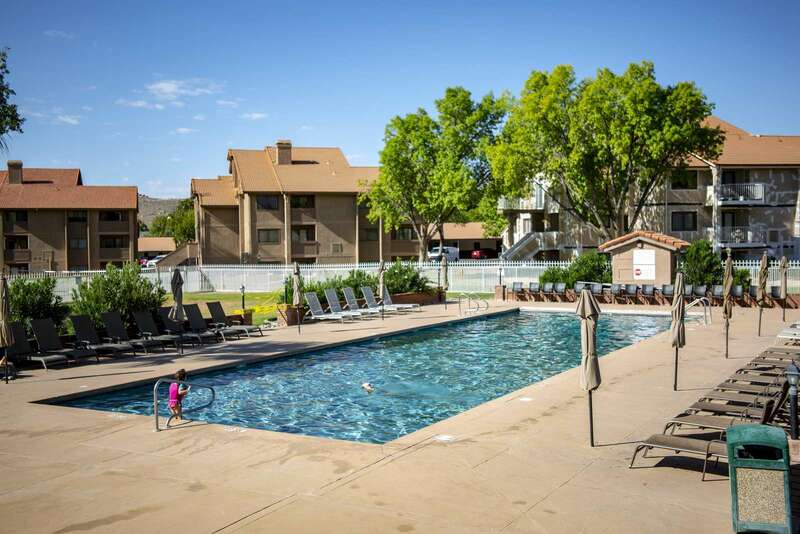 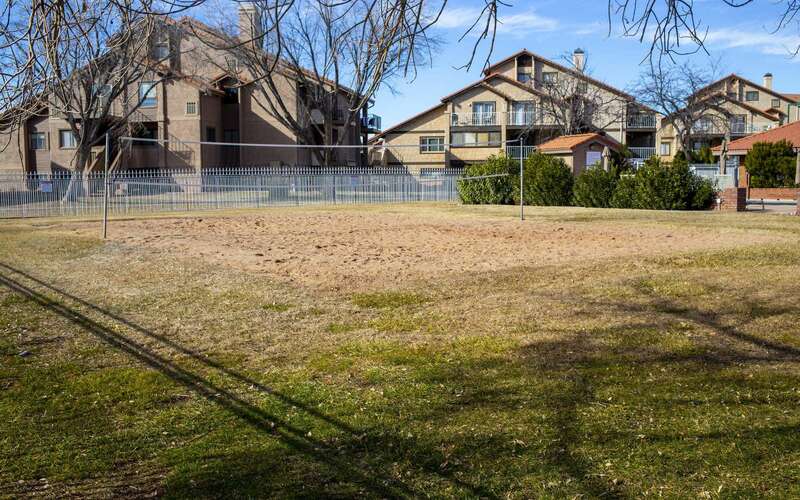 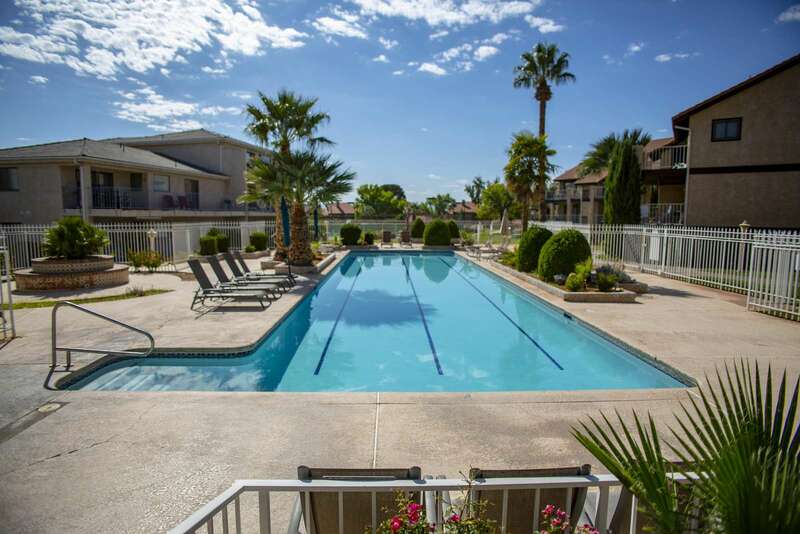 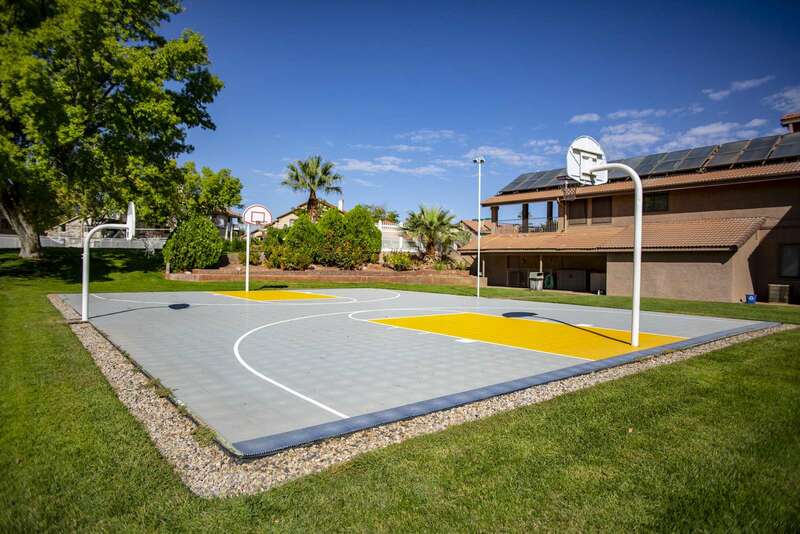 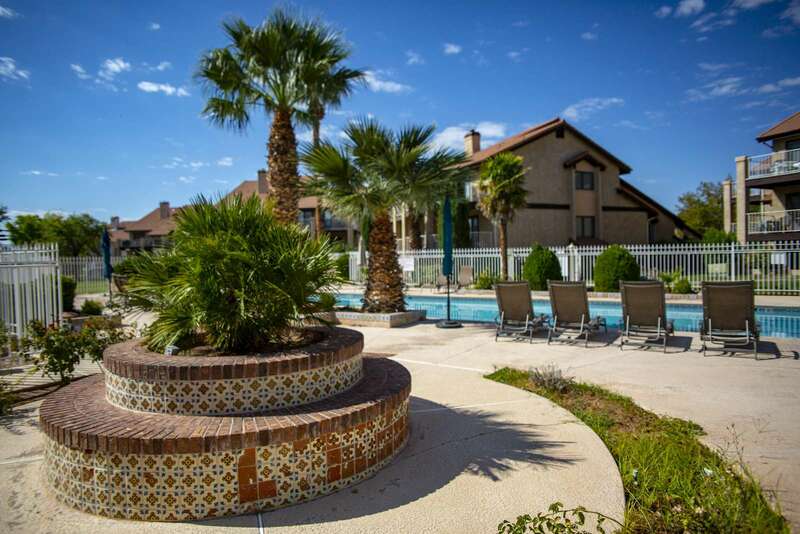 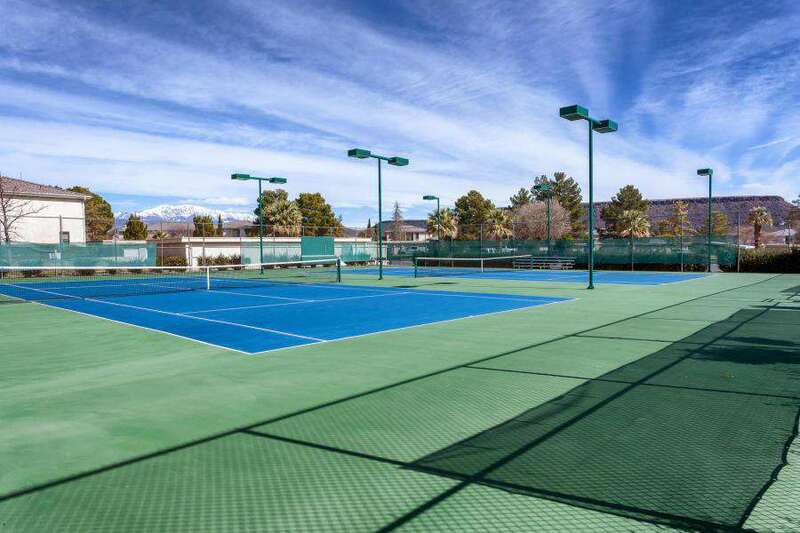 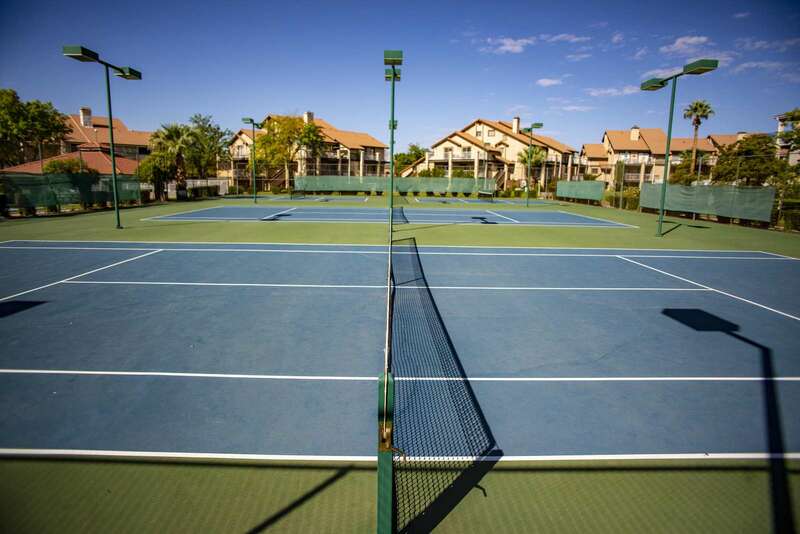 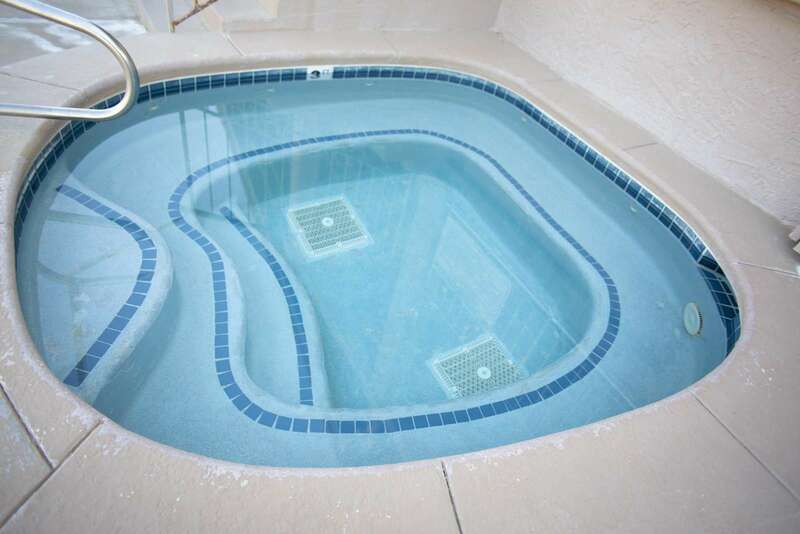 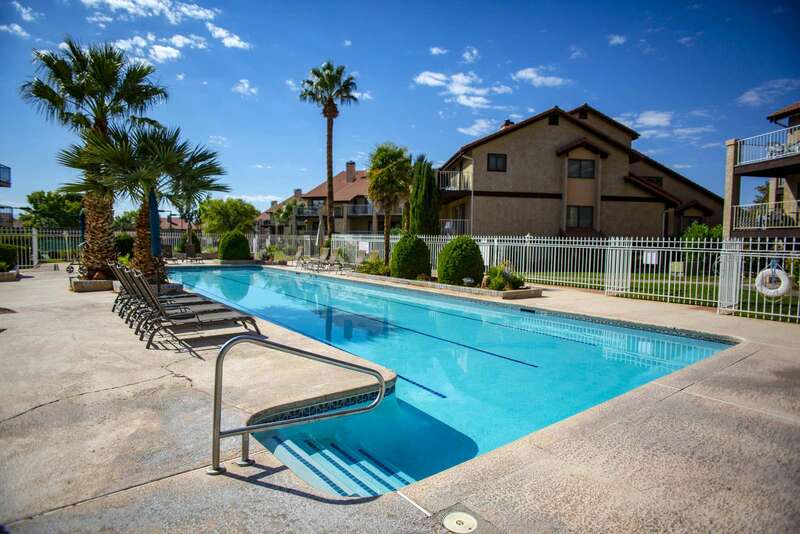 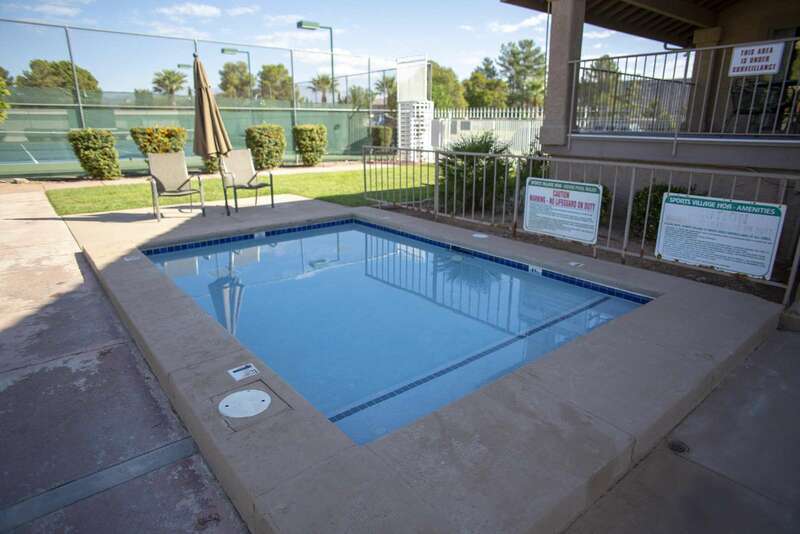 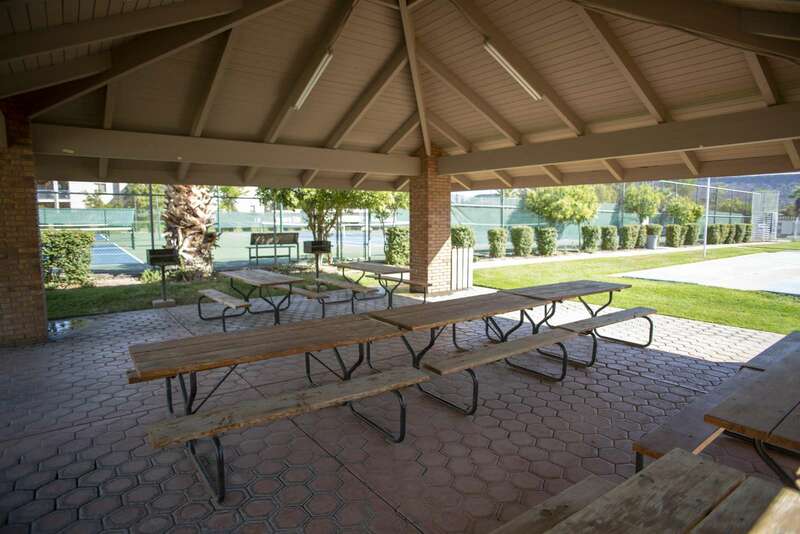 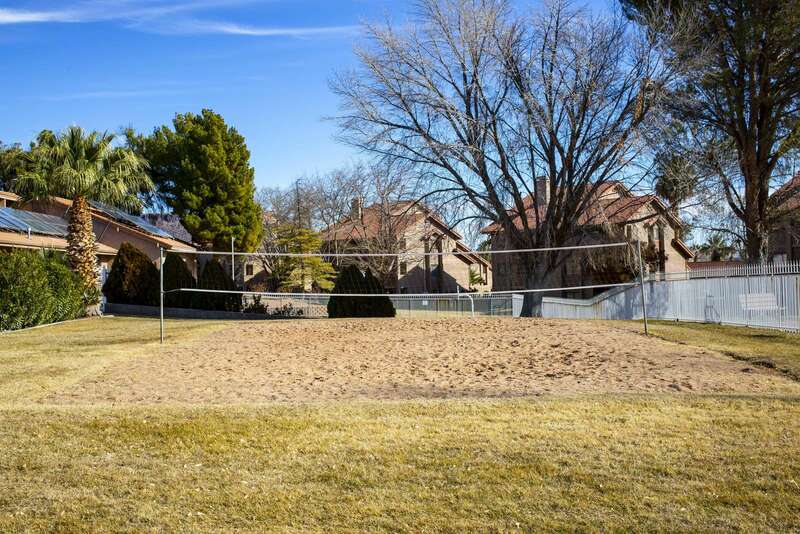 Included with this rental is access to the Sports Village Clubhouse amenities including: pools, hot tubs, game room with mini-golf, fooseball, skeetball, air hockey, shuffleboard, basketball, sand volleyball..... let's just say, "It's an all-inclusive resort". 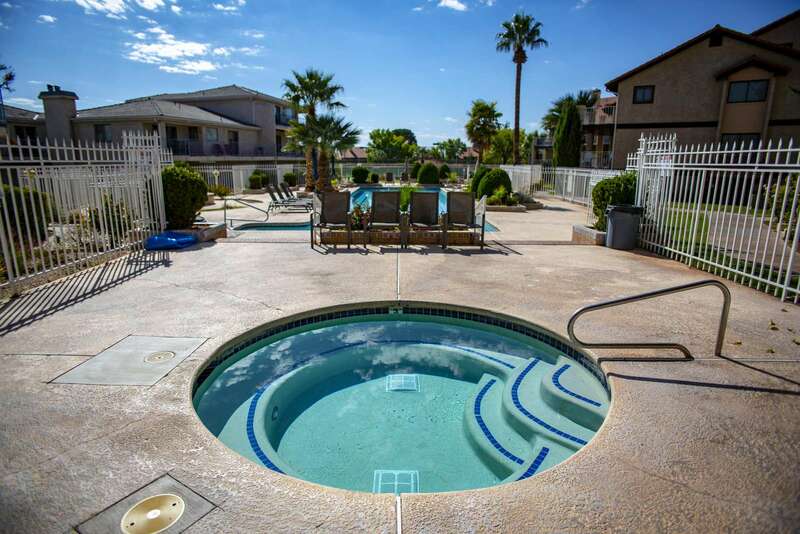 If your standards are high when choosing a vacation rental then this is where your next vacation begins! 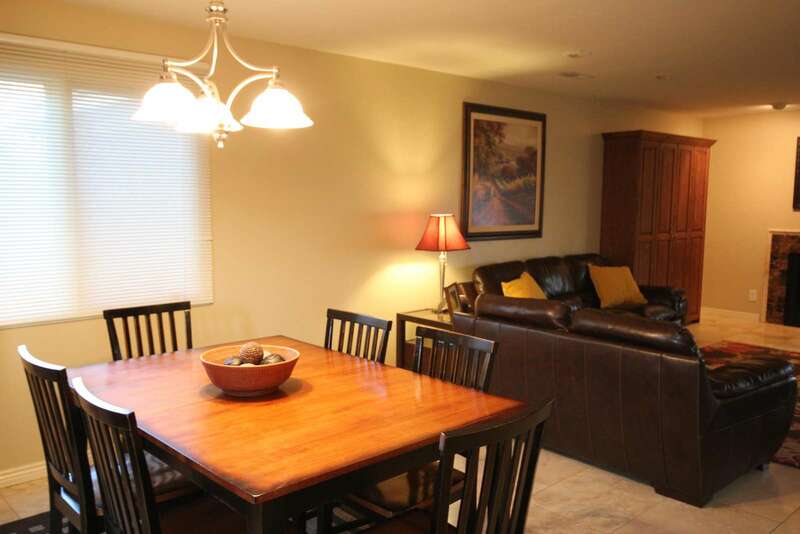 You will not be disappointed when you walk into this exclusive condo at the Sports Village Resort. 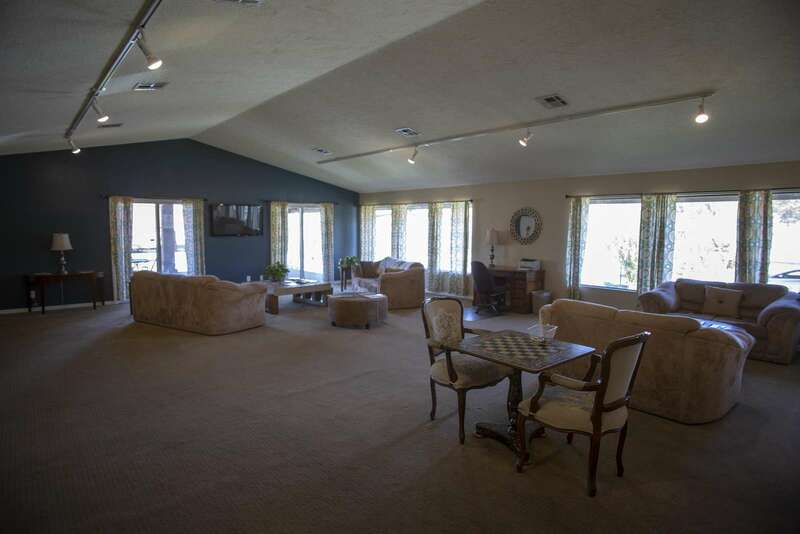 This property has 1 King(s), 2 Full(s), 1 Twin(s), 1 Pull Out Sofa(s).